Mrs. Gyöngyi Magò is a high school teacher in Kalocsa, Hungary. While looking for a subject for her dissertation she discovered a forgotten part of local history, the Jewish community that once thrived but is now non-existent in her city. She is not Jewish. Engaging her students in her research, she teaches tolerance and fights prejudice in her classroom. Her quest is set against a background of renewed racial tensions, growing intolerance and the recurrence of neo Nazism in Hungary today. She has managed to persuade the City leadership to commemorate this extinct community on the 65th anniversary of the liquidation of the local ghetto and deportation of the Jews to Auschwitz and other camps. 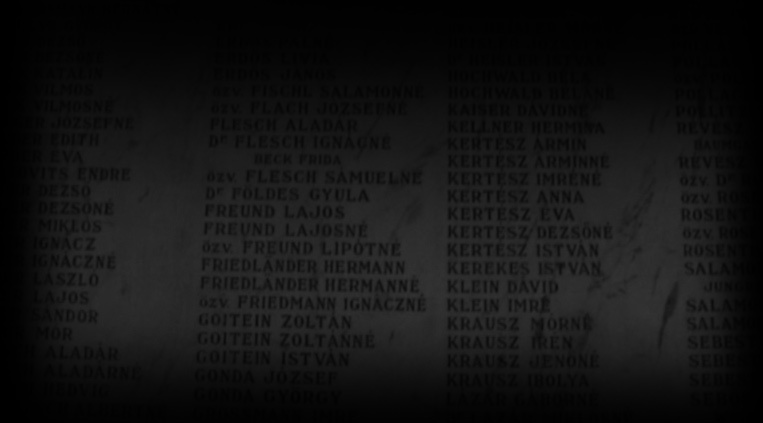 The memorial was attended by a few survivors, many members of the second and third generations, students and current inhabitants of Kalocsa. The Mayor and the Archbishop also participated. In the middle of the service at the newly restored Jewish cemetery a young girl visiting from New York was injured by a missile from a sling shot. At the same time a neo-Nazi demonstration was taking place a few blocks away. About three years ago, I received an e-mail from Gyöngyi Mago, asking for my assistance in her research. She found my name on the "Jaross List," the official list of Jews to be exterminated in 1944. I was nine years old at the time. 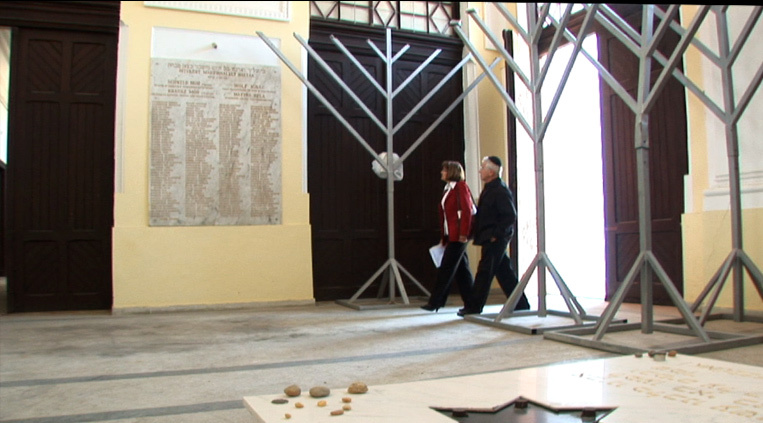 I was immensely touched that after 64 years a non Jew would take on the task; not only of digging up this lost culture but also of using what she found to educate, to inform, to enlighten and to fight prejudice and hatred, which unfortunately is very much in evidence throughout Hungary today. The film is a portrait of this remarkable woman. More than that, however, it clearly demonstrates what one person can do to change attitudes, to fight intolerance, to educate, to champion the truth and ultimately to triumph. The film transcends religions and borders, and carries its message beyond Kalocsa, beyond Hungary, to any place where history might have been forgotten, where intolerance and racism have led to bloodshed. We have developed a unique style to deal with fragmented, distant and often tentative memory. The digitally treated photos and archival material is presented in a way that is not nostalgic or sentimental, and certainly different from other films dealing with the same era. The minimalist, experimental music complements the somewhat ghostly memories. These brief subjective segments are intended to contrast with the verite style of the film about Gyöngyi's quest. This approach not only gives the viewer glimpses of a vanished world, but perhaps illuminates that very world for Gyöngyi as well. Our main focus however remains with Gyöngyi. When Gyöngyi Mago, a Catholic schoolteacher stands in her classroom and says: "I think you must tell others about this, as I am telling you, and we must remember that what you hear is not fiction, there are still living witnesses. When they are gone, who will tell their story? We have to pass it on so it will never happen again." These words, which we have heard before from many survivors, suddenly acquire a whole new meaning. Gyöngyi Mago is the main focus of our film. This rare individual provides the lens through which we may discover a vanished world. As a filmmaker and a Holocaust survivor from Kalocsa, I feel uniquely qualified to put her story on film.